Daniel A. 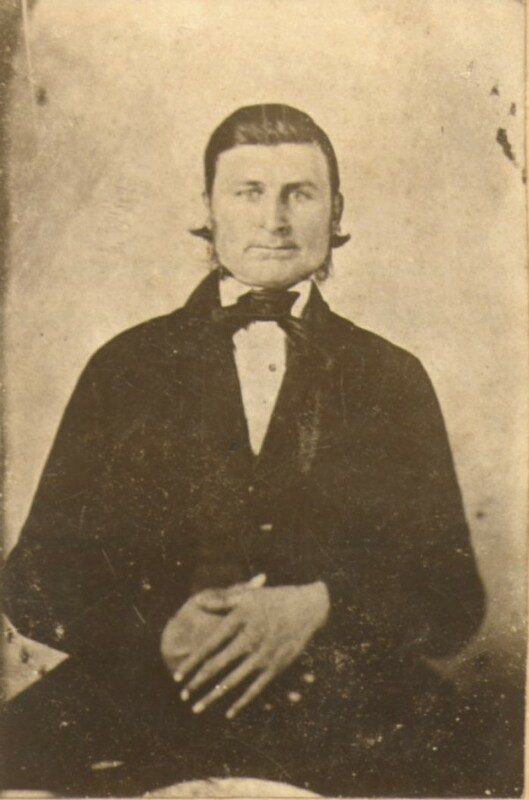 BREWER was born 31 Aug 1784 in KY and died 9 April 1881 in Coatesville, Hendricks, IN. Daniel married Nancy SMITH. The family history on Daniel A. BREWER SR. (at least in our branch) had him born August 31 1784 in Germany or Holland, and that he’d moved to Putnam Co. Indiana. This account was based on a bio in Weik’ History of Putnam County, Indiana. Well, don’t believe everything in print, for it seems that Daniel A. BREWER was the 2nd son and 2nd of 6 children born to John (Johannas) BREWER, who was born in New Jersey, and Jane VAN ARSDALE also born in New Jersey. John was about 23 and Jane about 27 when Daniel was born. The BREWER family had been in America for multiple generations. Another peculiar bit of misinformation occurring in this generation is that in the family history Nancy SMITH was originally given as Nancy GARNETT (by Pansy BREWER NOYES) and Nancy GURNET by another relative. It was eventually found that she was Nancy SMITH, but with at least with some of her children she went by the maiden name of GARNETT or GURNET, which was a brick wall in research that no one could get past (well, no wonder). Some scandal or something had already been hinted at by relatives, Nancy reports, but what could it have been? It has been wondered if she was previously married to a GARNETT and, if there was a scandal, it had something to do with this–but she was married to Daniel BREWER under her maiden name of SMITH, and it seems if her using the name of GARNETT was because of something she preferred to not have known then this had something to do with her being a SMITH. Besides, it seems fairly peculiar that she would have presented herself for posterity as a GARNETT if a previous marriage was what she wanted to hide. The “cousin” who gave me the family sheet of Daniel which listed his mother as “Nancy Gurnet” said there was some scandal about her, but she didn’t know what it was. In some of mother’s writings I found mention of Nancy Garnett as wife of Daniel. In corresponding with other researchers (including Steve Brewer and Debbie Schmidt) I found that Nancy Smith who md. Daniel Brewer in 1805 in Mercer County was mentioned as a daughter in George Smith’s probate records. George had been married previously and had five children before marrying Nancy’s mother and having six more. Isom: “Marriage Bonds and Consents, Mercer Co., KY 1786-1820, p. 13–“Daniel Brewer and Nancy Smith; Consent of Mary Smith for her daughter, same date, witnessed by Narney Smock and Abraham Brewer. packet contains a letter from a DANIEL BREWER, son-in-law of George Smith, who was resident in Shelby County, Kentucky. In the will, George gives Nancy as yet unwed, and yet she had married in 1805. The Court Record hasn’t been viewed but there was a case between Mary SMITH (Nancy’s mother) versus her father and his son George W. SMITH Jr. in 1801. By 1802 George Sr.’s name appears in Saint Louis, which is a while before his death. As it is, Nancy SMITH, born 4 December 1785, was actually the daughter of George Washington SMITH Sr. and his second wife, Mary. Supporting documentation is given that she is mentioned in her father’s probate records. And the Marriage Bonds and Consents Mercer county, KY 1786-1820, by Isom, p. 13, shows Consent of Mary Smith for her daughter, same date, witnessed by Narney Smock and Abraham Brewer. These revelations were made during exchanges on the Rootsweb Brewer Mailing List 1999. Steve BREWER noted that Nancy’s marriage bond only has her mother Mary listed as giving consent, whereas one would normally find a father or guardian listed, but that Debbie SCHMIDT, another researcher, reported that George SMITH died before 1810 in the St. Louis Territory, Missouri. Daniel A. BREWER Sr. and Nancy SMITH had 9 children. 1) John b. 1806 d. unknown m. Lucinda HANKINS on 27 Oct 1829 in Shelby Co. KY. (Vicki Deer writes at Genforum, Hankins forum, that Lucinda’s father was William HANKINS and her mother was Mary “Polly” HEDDEN. Mabry Benson wrote in that another child was Gilbert who married American ARMSTRONG, sister to William F. Armstrong, from Shelby Co. KY, moved to Hendricks Co. IN, next to Putnam, and married in 1846. 6) Jerusha b. 1818 m. Alexander HODGE April 4 1838 Putnam Co. IN. 9)Nancy b. 1826 to 1827 m. James COOPER, 23 Dec. 1860 Putnam Co. IN. After the death of Nancy, Daniel married Charity BRIDGES. The burial place of Daniel is unknown. The Mt. Carmel Cemetery shows his wife, Nancy and Nathaniel STRAUGHAN and Mary Polly BREWER, his wife. Daniel isn’t shown. He is perhaps buried with Charity, who burial place also unknown. Husband: Daniel A. ++ Brewer Sr.
1. Birth: 1784 Aug 31. 1786 seems a plausible date. 3. Marriage: Marriage Bond For Daniel Brewer and Nancy Smith, 1805 Oct 5. Isom: “Marriage Bonds and Consents, Mercer Co., KY 1786-1820, p.
date, witnessed by Narney Smock and Abraham Brewer. means he appears not to have seen his family for five years. October 27 1829 in Shelby Co., KY.
October 11, 1830 in Shelby Co. KY. BREWER Daniel, 1 male under 10 (John abt. female 16 to 25 (Nancy). 17, 1835 in Putnam Co. IN. 8. Child’s Birth: George is born., Cir 1813. 9. Child’s Birth: Charity is born., 1815 Jan 28. HODGE April 04, 1838 in Putnam County, Indiana. LUNTSFORD, 9 Dec. 1841 in Putnam Co. IN. 13. Child’s Birth: Daniel Levi is born., 1823 Sep 25. DIRECT LINE He will marry Catharine HEDDEN, March 30, 1843, in Putnam Co. IN. 14. Land Patent: 20 May 1825?. Dec. 23, 1860 in Putnam Co., IN. Jerusha SMITH, a sister of Nancy SMITH BREWER, married a John HUNTER. HEDDEN. A number of TILLEYs and HEDDENS will also migrate from Shelby Co.
KY to Putnam Co. IN. Miller Commission rejected his claim, but it is still interesting. (Jane or Charity or Jerusha), 1 white female 60 to 70 (Nancy). 20. Wife’s Death: 1859 Nov 9, Fillmore, Putnam, Indiana. George S 17 farmer married within the year marked? 22. Matrimony 2: Marries Charity BRIDGES., 1863. 23. Photo: Daniel Brewer and the Dunlavy Family, Cir 1877, , , Indiana. 25. Death: 1881 Apr 9 Coatesville, Hendricks, Indiana. 26. Cemetery: ? After 1881 Apr 9. Remains unknown. 27. Edit : 2003 Nov.
1. Birth: 1785 Dec 4. Nancy is given as mentioned in George Smith’s probate records. 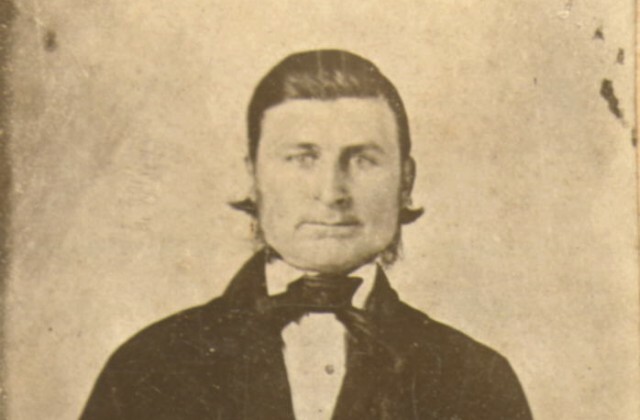 W. SMITH, whose sister Jerusha married John HUNTER. A sister of Susannah and Gilbert, Anne, married Carter HUNTER 1818 in Kentucky. Jerusha SMITH, another daughter of G. W. SMITH, married John HUNTER, a son of Henry HUNTER. Jane BREWER, daughter of Nancy SMITH and Daniel A. 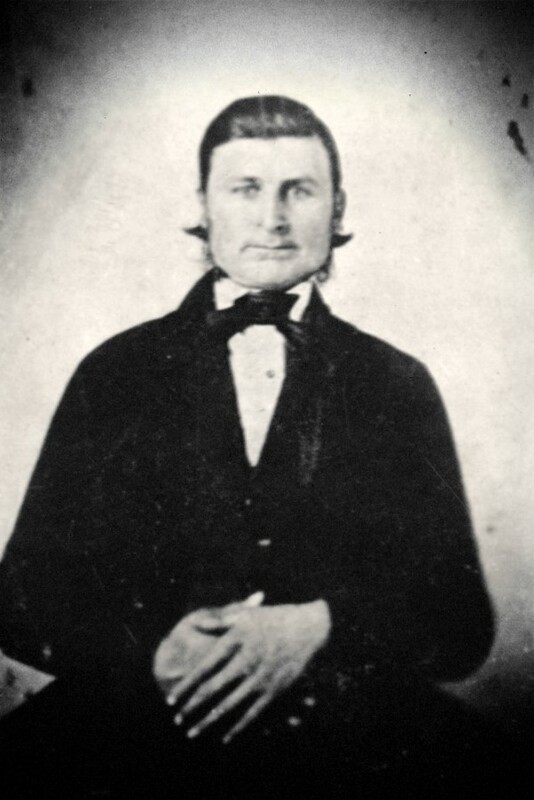 BREWER, married David HUNTER. 30, 1843, in Putnam Co. IN. 19. Death: 1859 Nov 9 Fillmore, Putnam, Indiana. 21. Edit : 2003 Nov.
1. Edit : 2003 Nov.
3. Photo: Daniel Brewer and the Dunlavy Family, Cir 1877, , , Indiana. 5. Edit : 2003 Nov.
3. Census: 1880 IN, Owen Co., Jennings. 1. Birth: 1823 Sep 25 , Mercer, West Virginia. In household of father, Daniel A. BREWER. 6. Child’s Birth: Sarah Elizabeth is born., 1843 Dec 22. 7. Child’s Birth: William H. is born., 1846 Nov 18. 8. Child’s Birth: Nancy is born., 1847 Nov 22. 9. Child’s Birth: James Daniel is born., 1849 Apr 13. 12. Child’s Birth: Rachel Jane is born., 1852 Oct 6. 13. Child’s Birth: Unknown child is born., 1854 Oct 3. 14. Child’s Death: Unknown child dies., 1854 Oct 3. 15. Child’s Birth: Matilda is born., 1856 Jan 31. 16. Child’s Birth: Unknown child is born., 1858 Jan 13. 17. Child’s Death: Unknown child dies., 1858 Jan 13. 19. Child’s Marriage: James Daniel marries Maude OULMAN, 1864 Sep 17. 20. Child’s Marriage: Rachel Jane marries Atwell HENDERSON., 1866 Aug 29. 21. Child’s Marriage: Sarah Elizabeth marries Elizas WHITE., 1867. Previous to the organization of a town company or the laying out of a town site two buildings had been erected here, one by L. P. Foster & Co., a log one, in which a store was opened and managed by the “Morgan boys,” and a framebuilding erected by S. A. Williams, of Fort Scott, in which his son, Augustus D. Williams, kept a store. The movements were made in 1866, in anticipation of the starting of a town. A Town Company was organized consisting of George A. Crawford, S. A. Williams, C. W. Blair, Benjamin McDonald and John Nandier, a town site laid out and called Osage Mission., in December, 1867. By the side of it and to the west another town site was laid out and called Catholic Mission. On this town site a small store was opened by S. J. Gilmore, in a log building known then and still remembered as “Castle Thunder;” this store was opened in 1865. On Osage Mission townsite the Town Company erected a building on the corner of County and Market streets into which A. D. Williams moved his stock of goods in 1867, in which he kept the postoffice, with C. H. Howard as deputy. About the same time L. P. Foster & Co., erected a two story frame building across the street and a little north of the present site of the Southern Hotel. Joseph Roycroft built a log saloon near where now stands the City Bank; Middaugh and Dohnan came down from Topeka, and built a store where L. Steadman’s store now stands, in 1867; James Roycroft erected a boarding house, the first in town, on the southeast corner of County and Market Streets, and during the summer John Nandier built the first hotel, the Neosho House, a large two story frame, long known as the finest hotel building in Southern Kansas. Not long after this Nathaniel Tucker started a store near “Castle Thunder,” in the building now occupied as a dwelling by Daniel Zehner, and about the same time, perhaps a short time previously, Dr. J. B. Lamb started a store also in Catholic Mission. Marston & Ulmer, from Iowa, opened a furniture store in 1868. J. M. Boyle, from Fort Scott, opened a hardware store just north of L. P. Foster & Co.’s store, and on the southwest corner of County and Main streets, Ryan & Roycroft started a general store about the same time. …The first school in Osage Mission was the Mission School, begun by Father Schoenmakers in 1847. This, however, was an institution devoted to the education of Indians and in the interests of the Catholic Church. 23. Death: 1868 Apr 20.
for some reason and die there and Catherine and the kids stayed in KS? 24. Alt. Death place: Fillmore, Putnam, Indiana. 25. Edit : 2003 Nov.
1. Nancy Benton genealogy database drawn from various sources, some unnoted. Associated Families (2003 Word document). 3. Isom, Marriage Bonds and Consents, Mercer Co., KY 1786-1820. (Indianapolis : B. F. Bowen & Co., 1910). (Digital copy courtesy of Nancy Benton, 2003). 8. Kentucky, Shelby County, 1830 U.S. Federal Census Population Schedule. 9. Indiana, Johnson Co, 1840 U.S. Federal Census Population Schedule. 11. Indiana, Putnam Co, 1910 U. S. Census Population Schedule. 14. Nancy Benton. …. Rootsweb mailing list. 15. Debbie Schmidt, Debbie Schmidt’s Genealogy Data on the Smiths and Brewers. 16. Mt. Carmel Plat Marker (Digital copy courtesy of Nancy Benton, 2003). 2003 from John Houk to jk). 21. Photo of Nathaniel Straughan and Polly Brewer. 24. Marriage license of Mrs. Catherine Brewer and John Foster, 22 Dec 1869.
courtesy of Nancy Benton 2003). Pioneers to Kansas” (27 Aug 2002).